Asian Junior Chess Championships began on a note of melodious Mongolian music at the capital city of Ulaanbaatar. First day of the Championships which will be held from 18th to 25th Aug, began with the Rapid Championship. 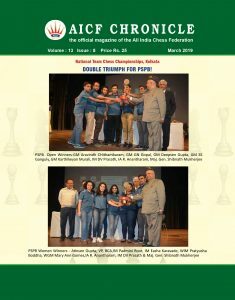 WIM Aakanksha Hagawane of Pune won Bronze medal with 6.5 points to give India the only medal at the Rapid Championship. 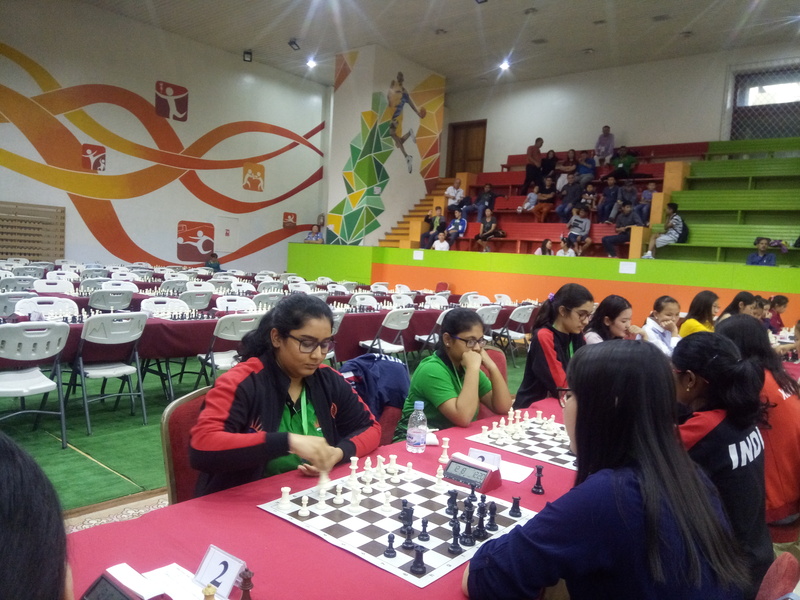 Playing White, Aakanksha drew her last round game against FM Ulziikhishigjargal Ochirkhuyag of Mongolia to bag the prestigious Bronze medal. She scored a draw with the Gold medallist of the Championship. Aakanksha lost advantageous position in the 6th round which perhaps affected her final finish. 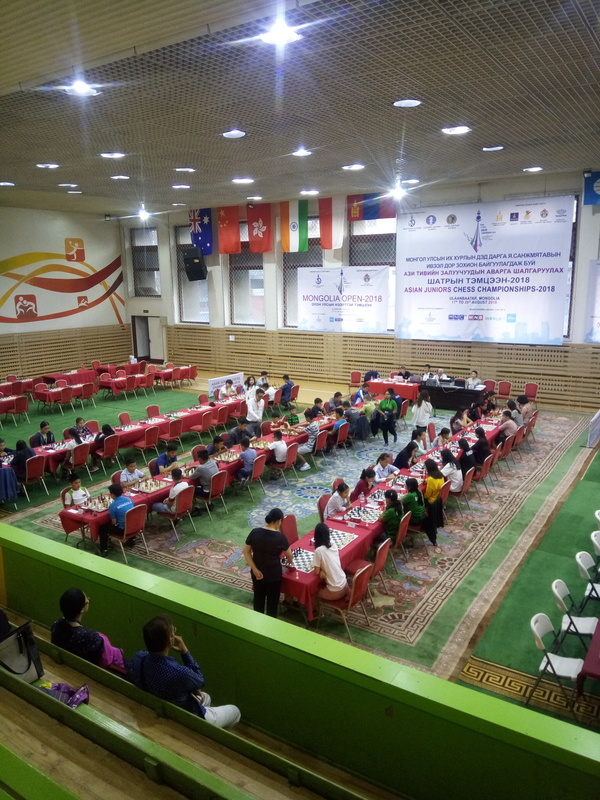 Mongolian girls made their presence felt with WFM Munkhzul Turmukh winning the Championship comfortably with 8.5 points from 9 rounds and WIM Uuriintuya Uurtsaikh finishing second with 7 points. India’s Priyamvada Karamcheti finished on 5th position with a good score of 6 points. 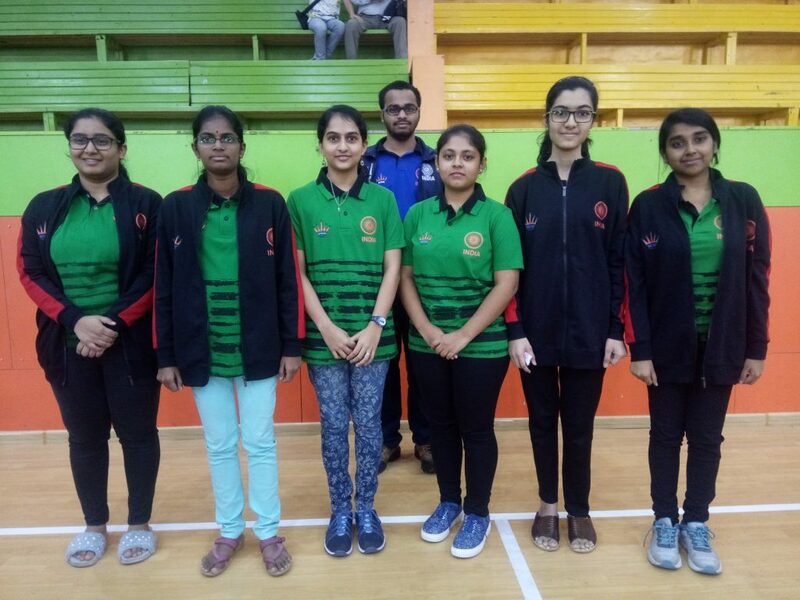 WIM Sakshi Chitalange, WFM Rutumbara Bidar and WFM C H Meghna all scored 5 points to finish 11th, 12th and 16th respectively. 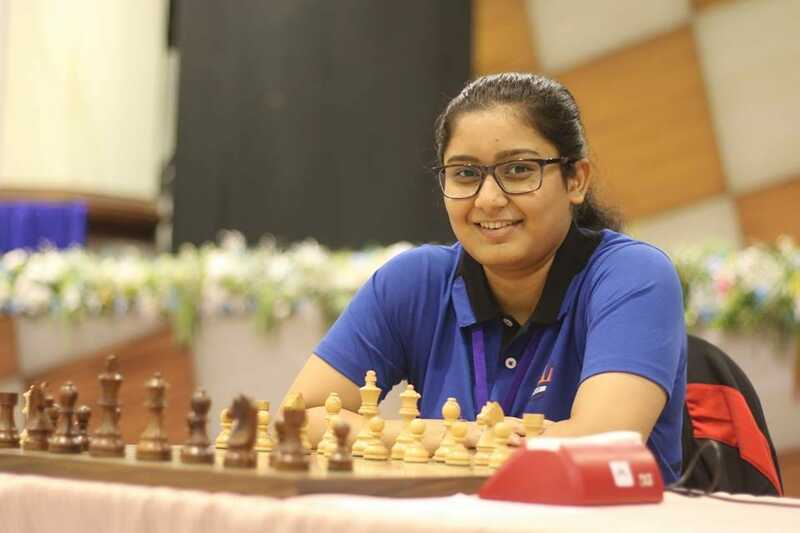 WCM Isha Sharma scored 4.5 points to stand 19th in a field of 32 players from seven countries. Sakshi’s grand run of three consecutive victories was halted by loss against winner of the tournament which ruined her medal prospects. Priyamvada scored crucial wins in last two rounds to finish 5th. Rutumbara Bidar could not built up on the good start in the tournament whereas C H Meghna overcame a slow start to finish on 5 points each. Rutumbara scored a creditable draw with the Silver medallist of the Championship. India’s lone entry in the boy’s section IM Krishna Teja was doing very well with a score of 5 points out of 7 rounds. He faced the eventual Gold and Bronze medallists of the tournament in the last two rounds. Krishna put up a very good fight but eventually lost both the games to miss the podium finish. He finished on 9th position with 5 points. IM Yakubboev Nodirbek of Uzbekistan won the Gold with a crushing score of 8.5 points from 9 rounds. IM Batsuren Dambasuren of Mangolia won Silver with 7.5 points whereas FM Priasmoro Novendra of Indonesia won Bronze with 7 points. The Championship with standard time control will start from tomorrow.